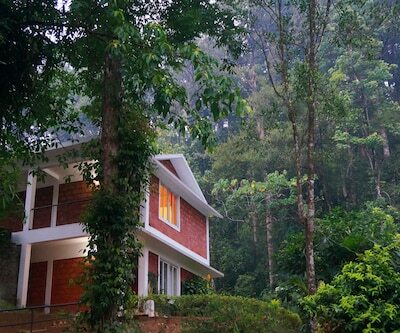 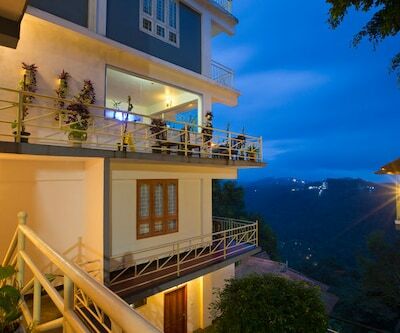 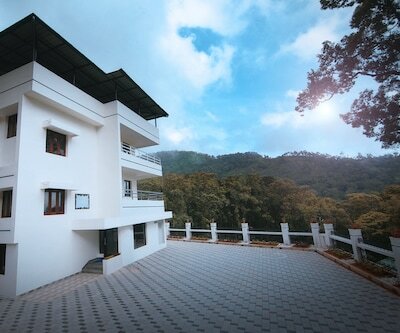 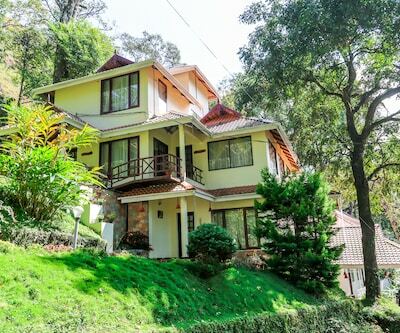 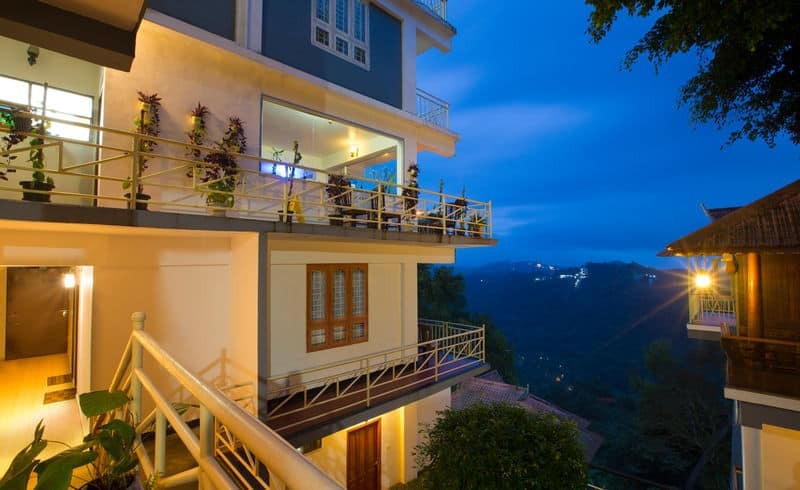 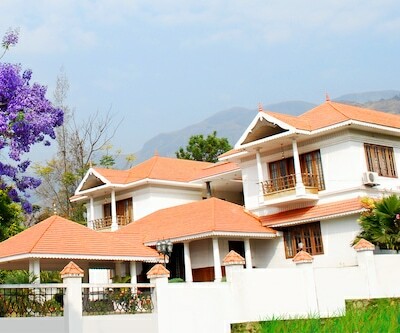 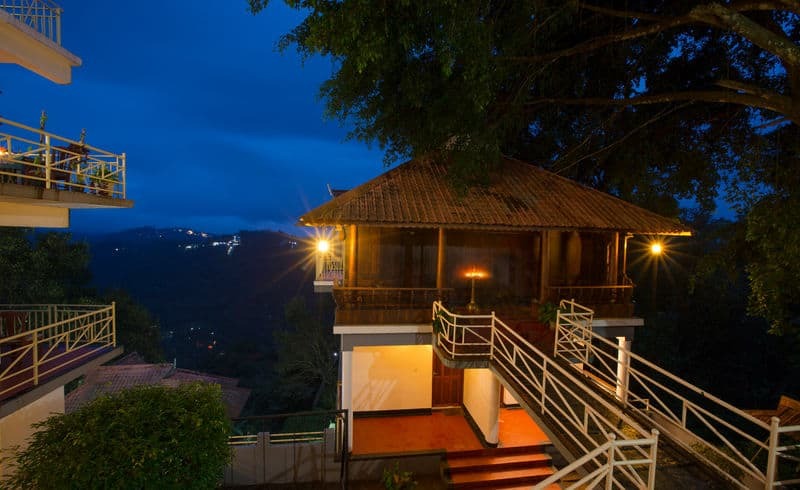 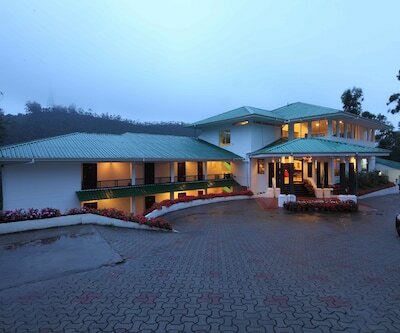 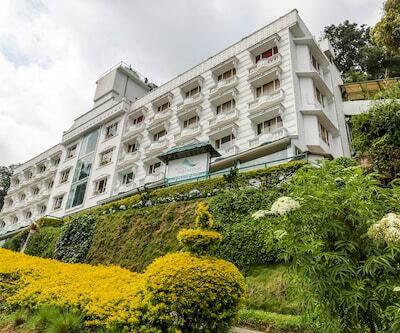 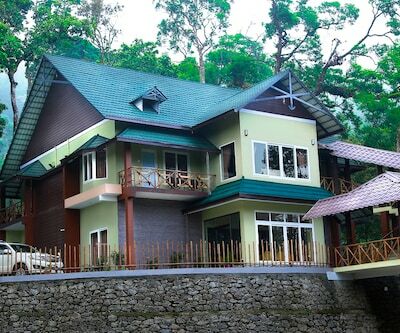 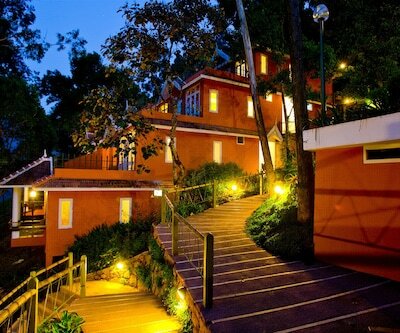 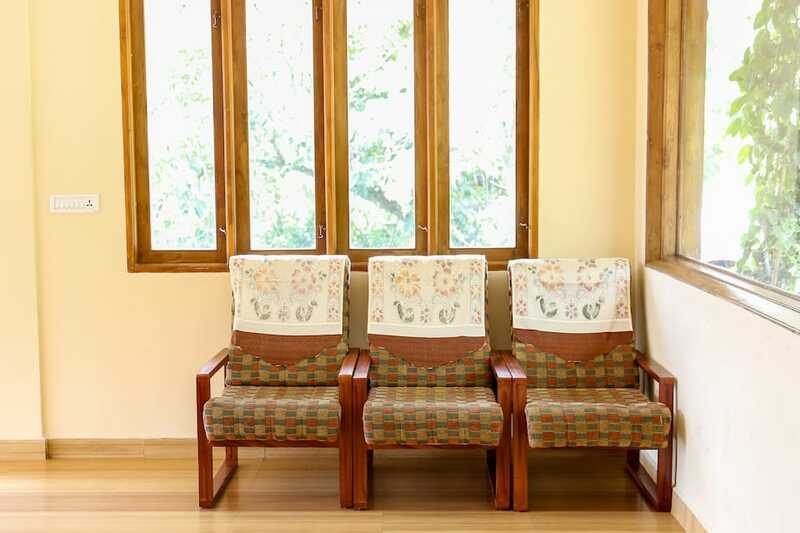 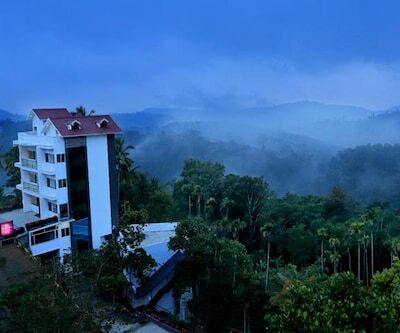 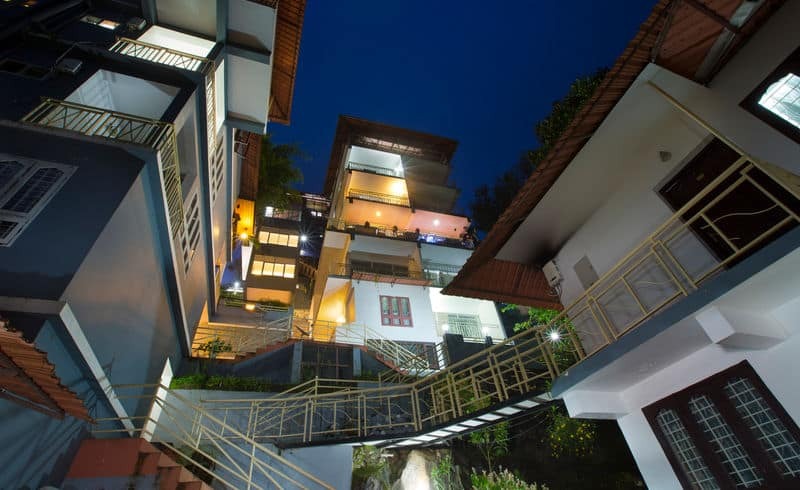 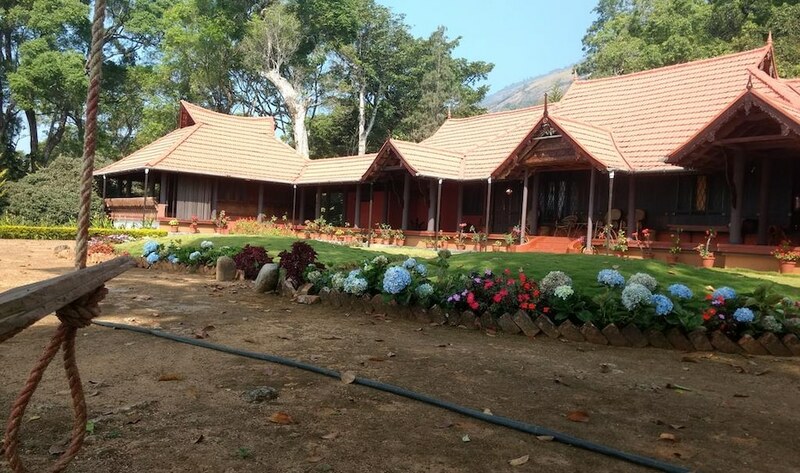 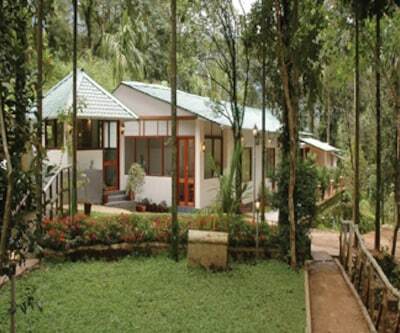 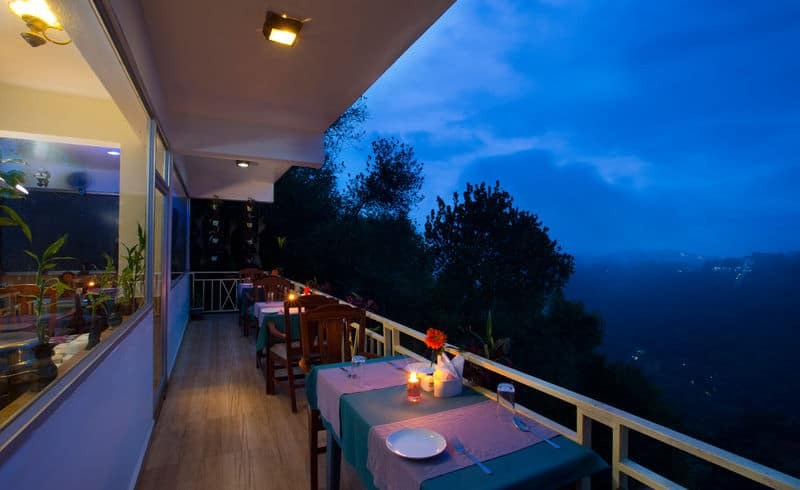 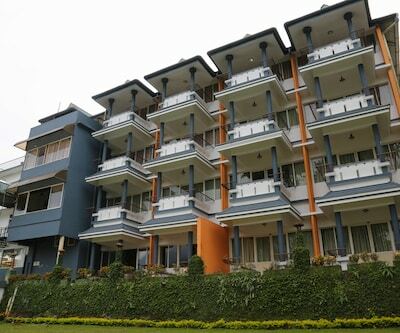 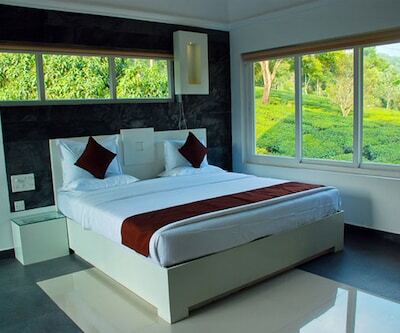 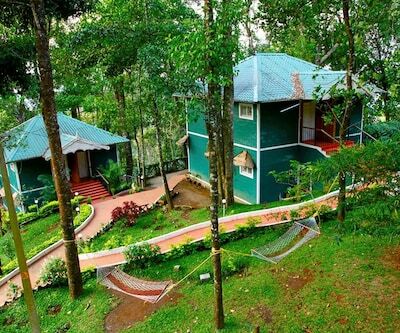 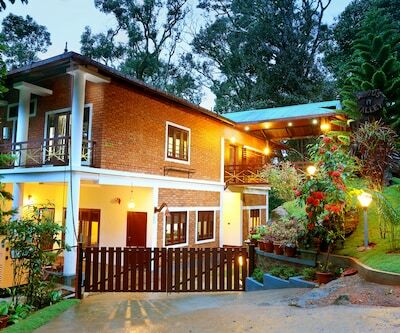 Spice Country Resorts, a 3-star premium resort is amidst the misty verdant valleys and green hills of Munnar. 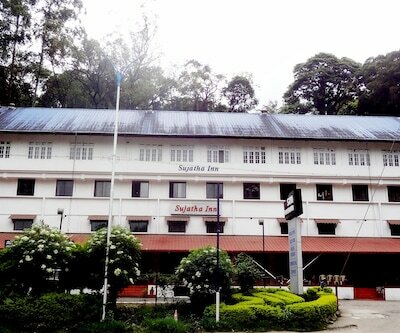 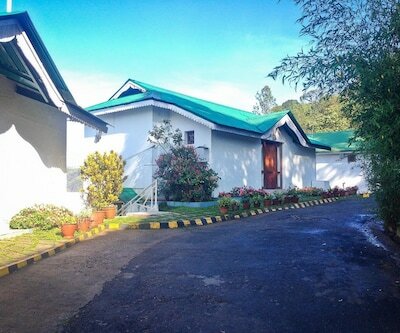 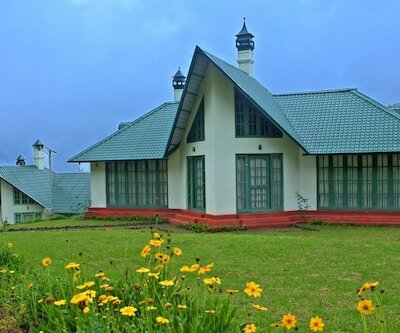 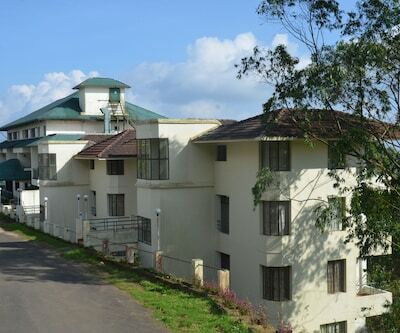 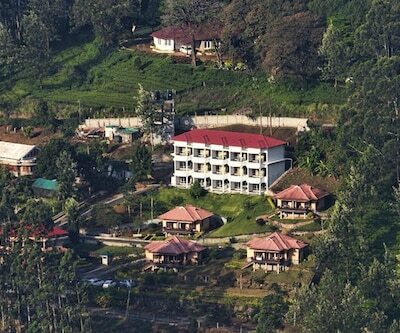 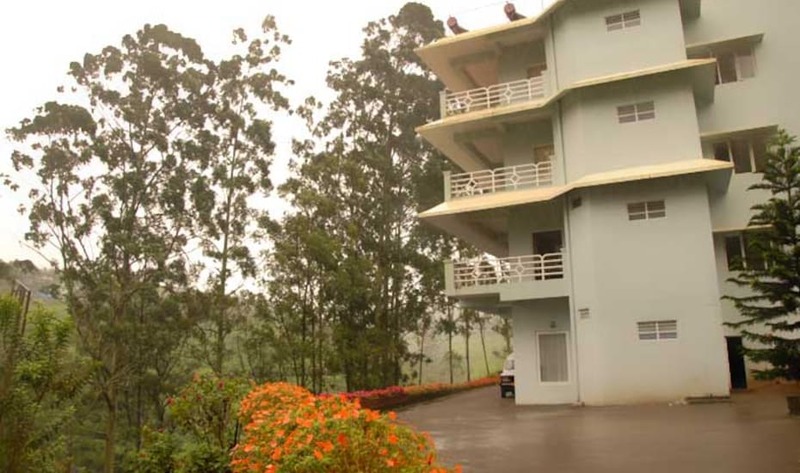 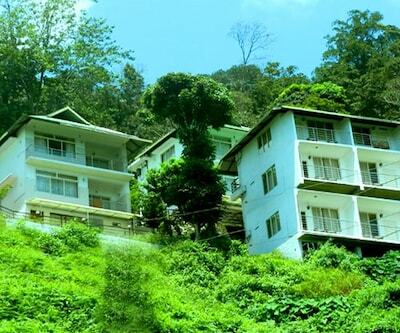 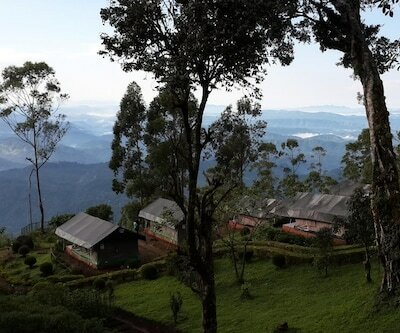 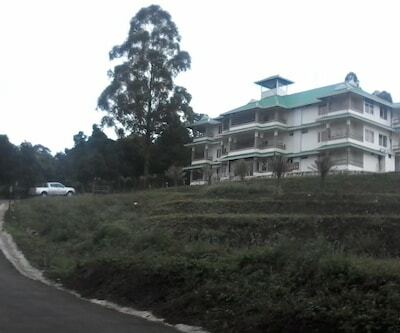 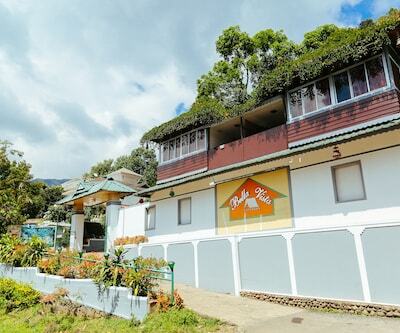 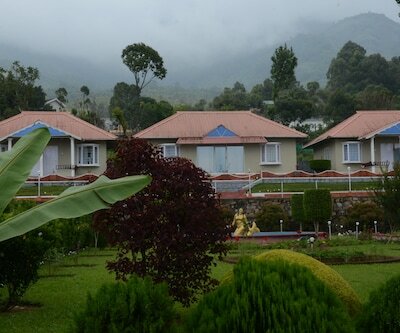 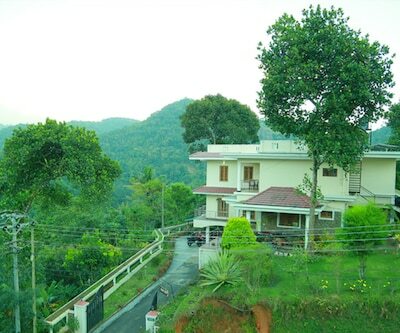 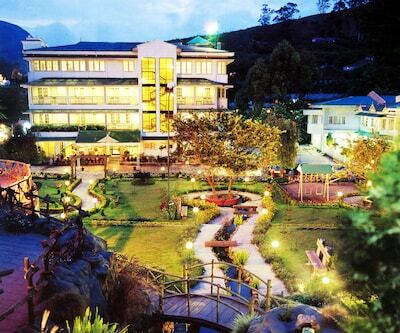 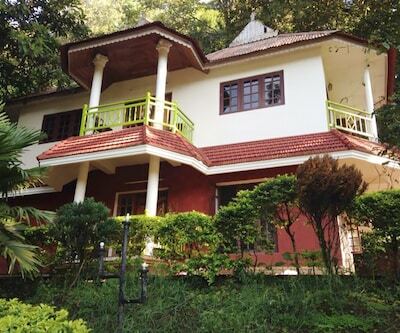 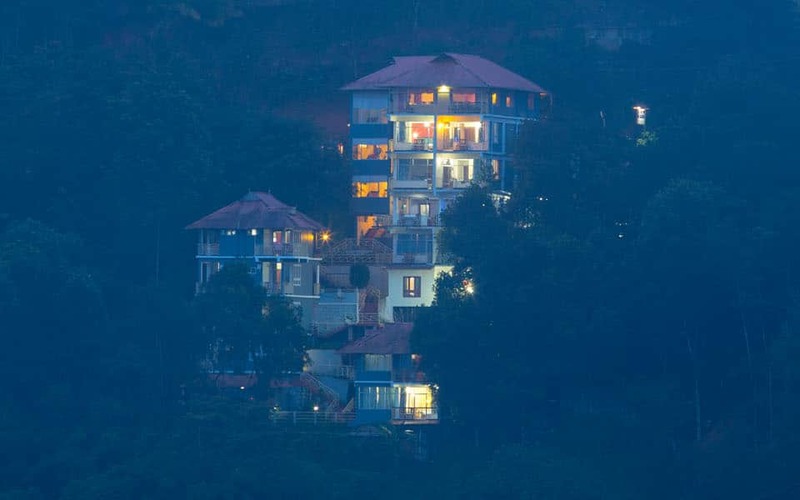 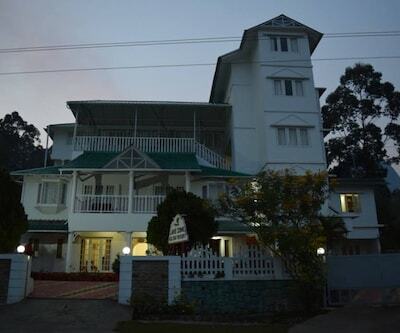 The charming resort, once a summer hill-station of the British has the Pallivasal Tea Factory just at about 5 km. 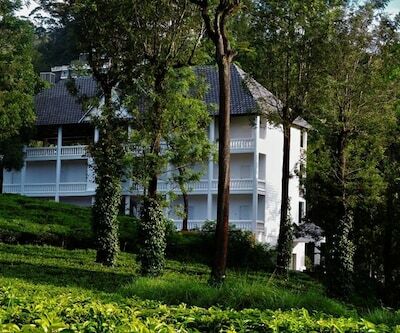 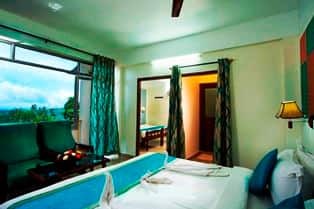 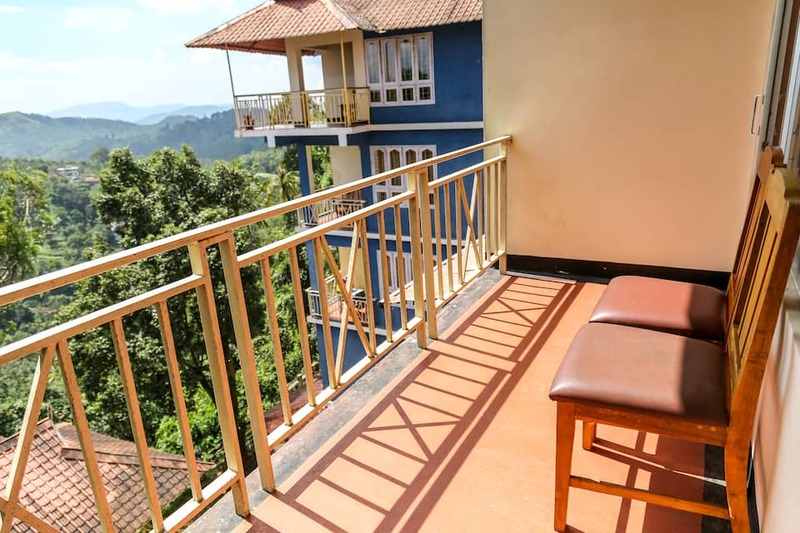 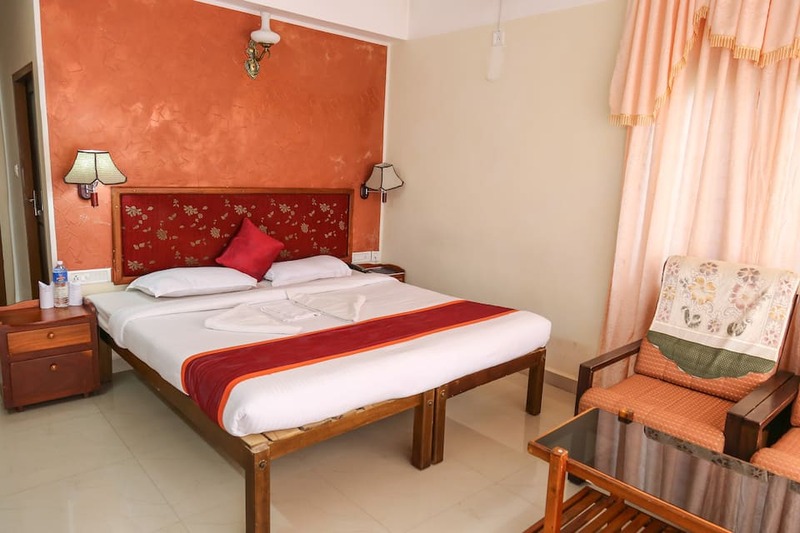 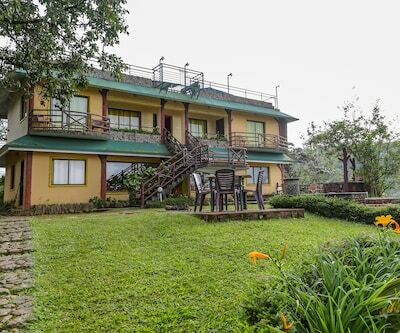 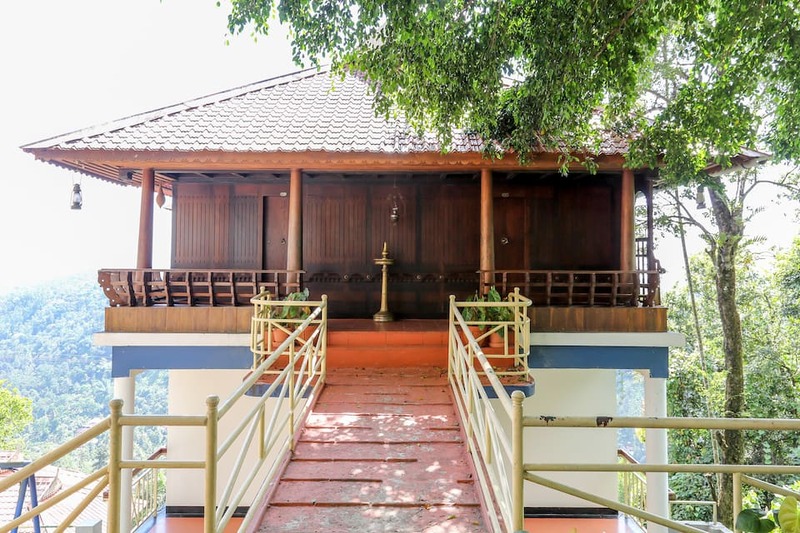 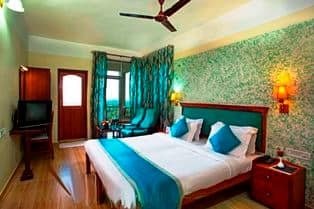 Set in sprawling tea plantations with beautiful natural lakes and serene water reservoirs around, it offers a blissful stay coupled with world-class amenities to all trippers. 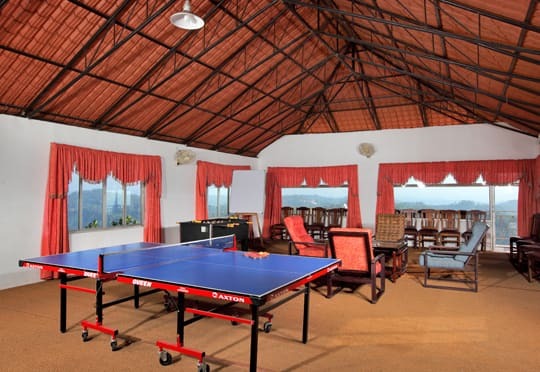 The resort has a kid s play room and indoor gaming area. 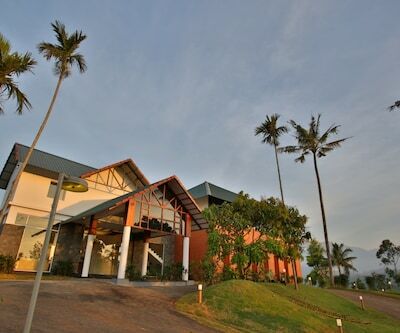 It has a large conference hall with state-of-the-art AV equipment and presentation facilities ideal for business meets as well as private get-togethers. 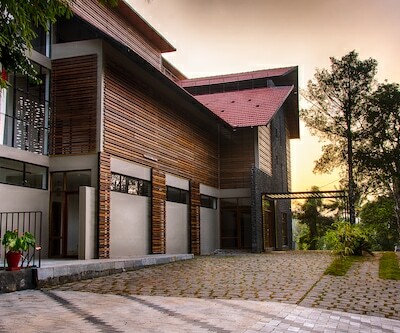 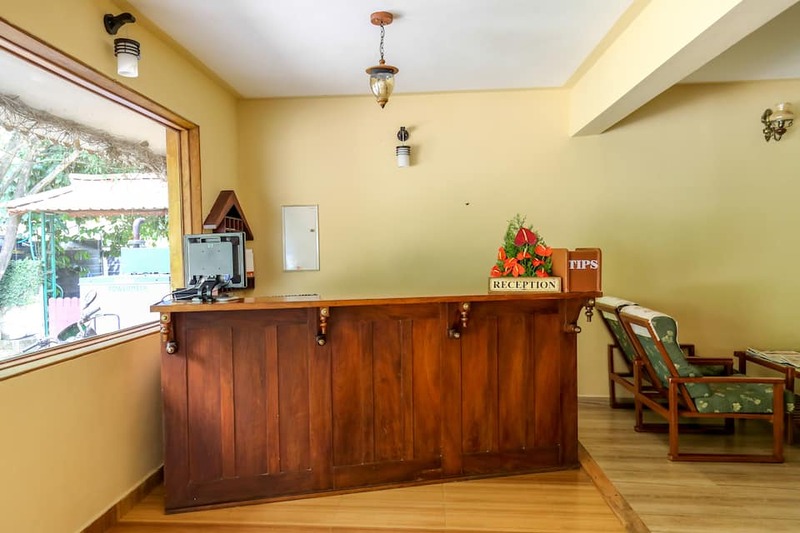 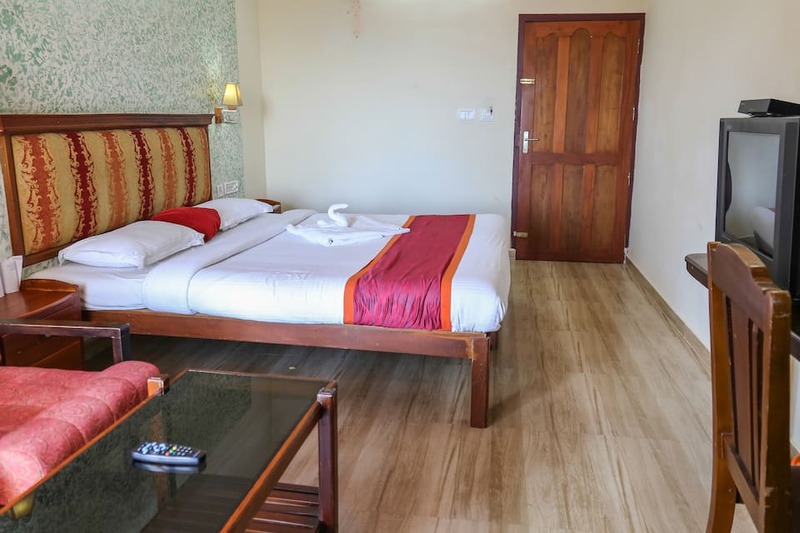 Other facilities include 24-hour security, car rental/shuttle, free Wi-Fi, parking, complimentary breakfast, nature trails and 24-hour front/tour desk. 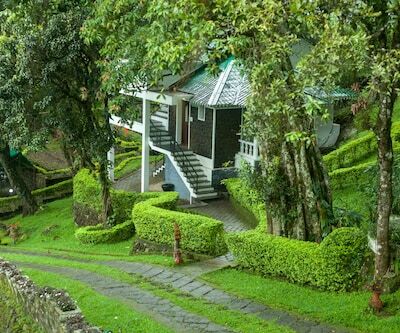 The guests with personalised travel assistance can go trekking, bird watching and undertake herbal valley and tea plantation visits. 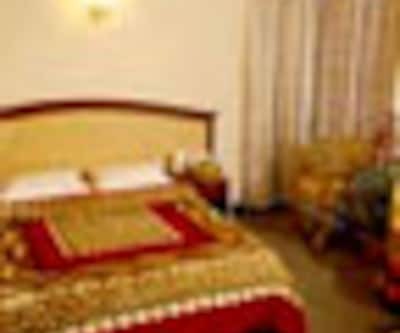 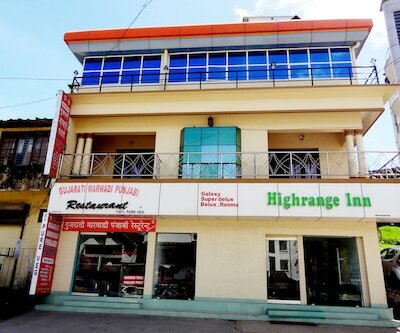 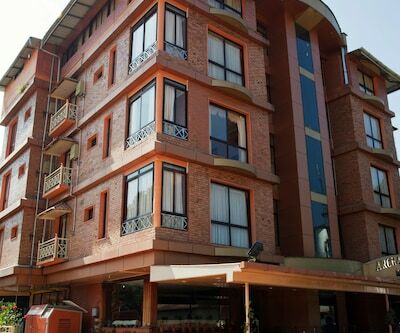 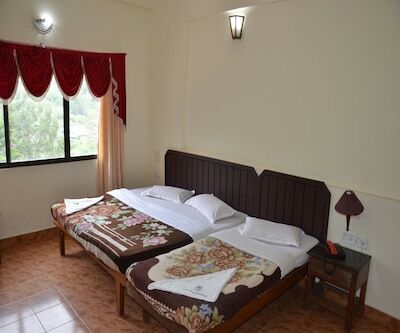 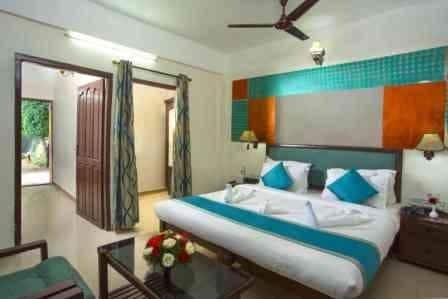 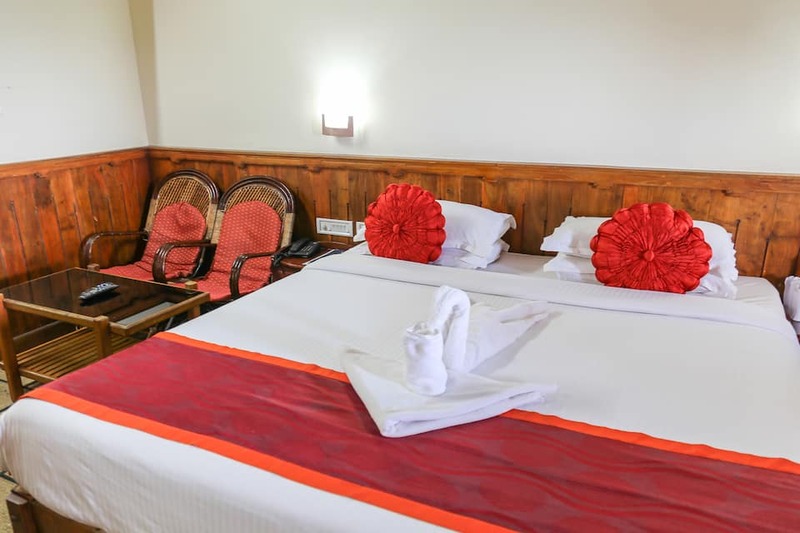 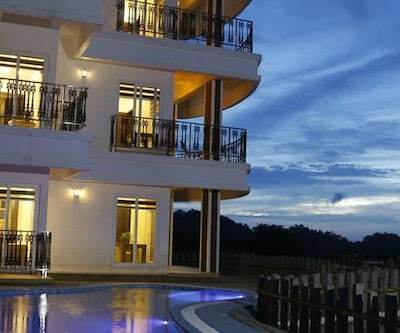 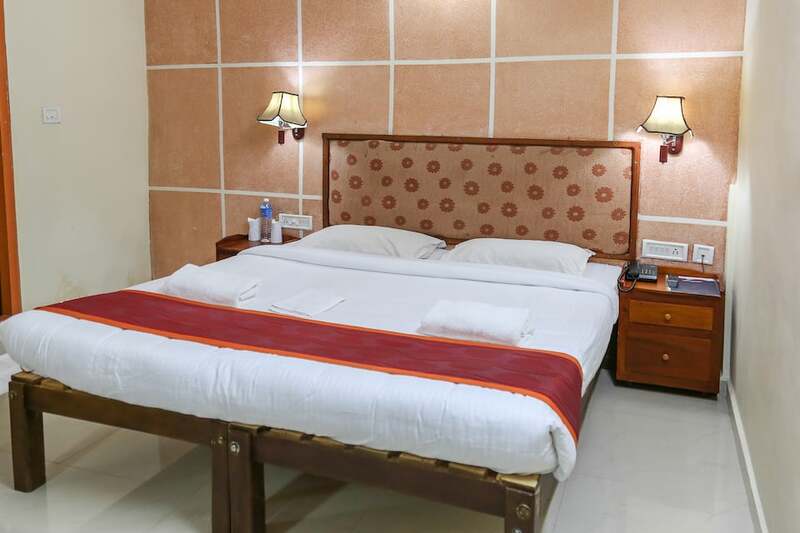 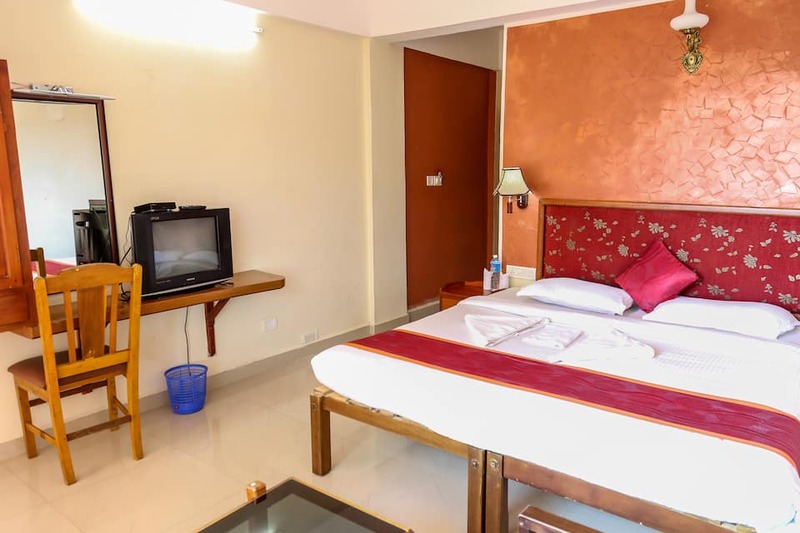 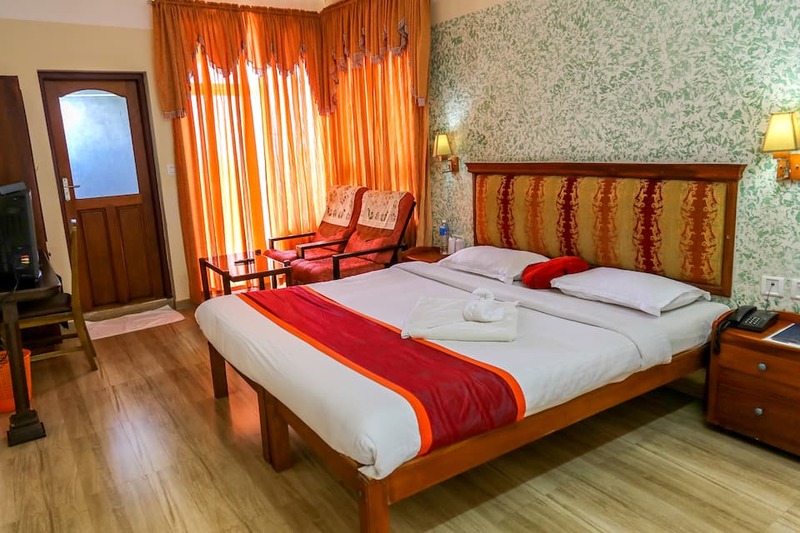 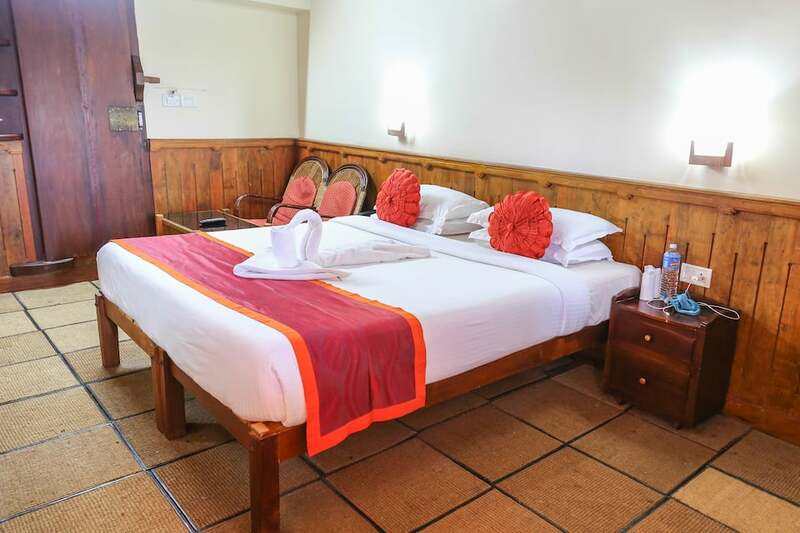 The elite resort offers Deluxe as well as Premium Valley View Rooms/Family/Honeymoon Suites. 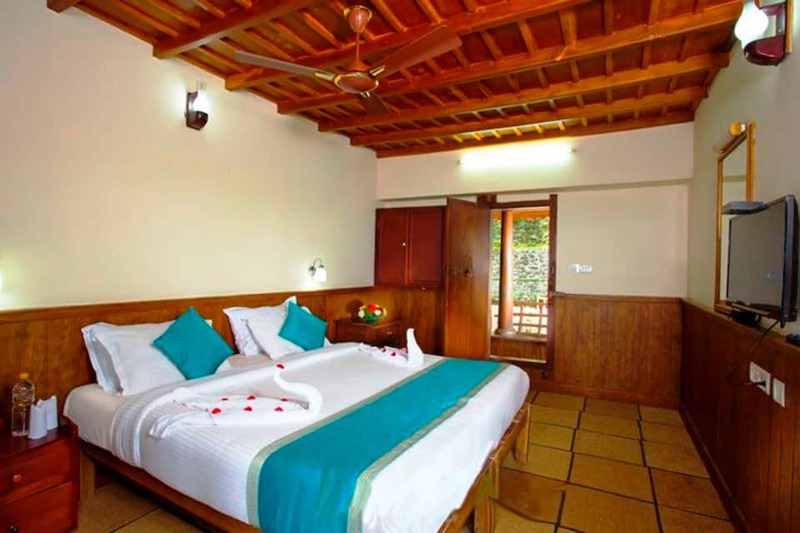 The rooms come with wooden wall panels, wooden ceiling and f? 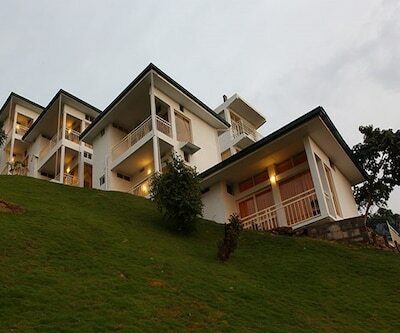 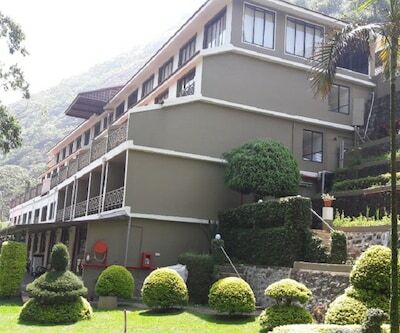 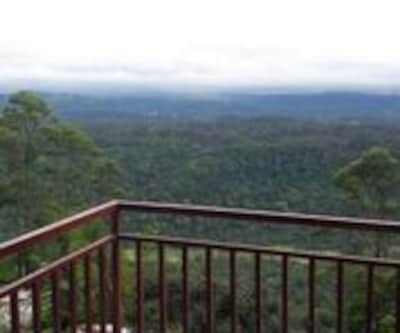 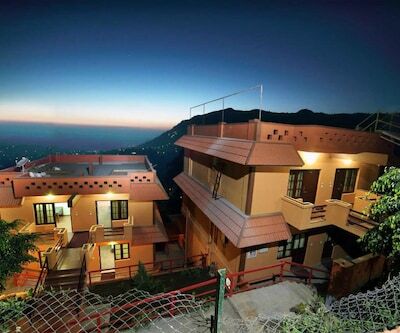 ?looring, comfort furniture and private balconies with panoramic valley and mountain views. 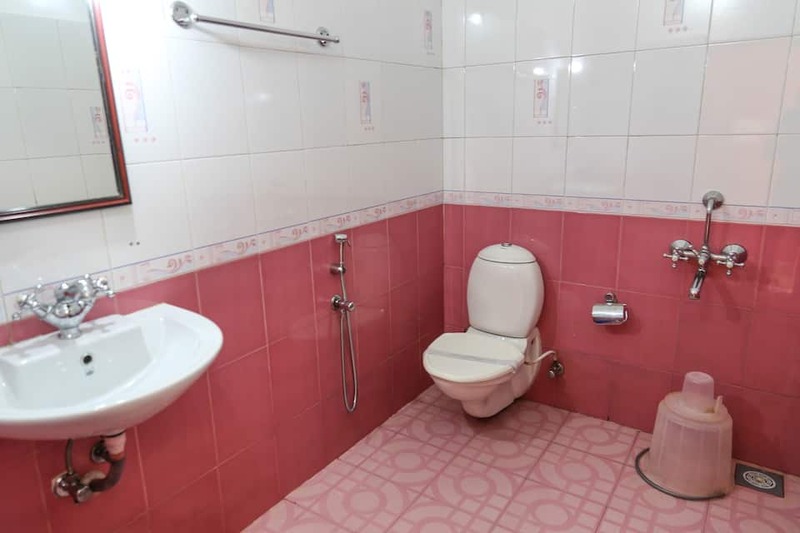 The spacious attached baths offer free toiletries, hot/cold water and showerheads. 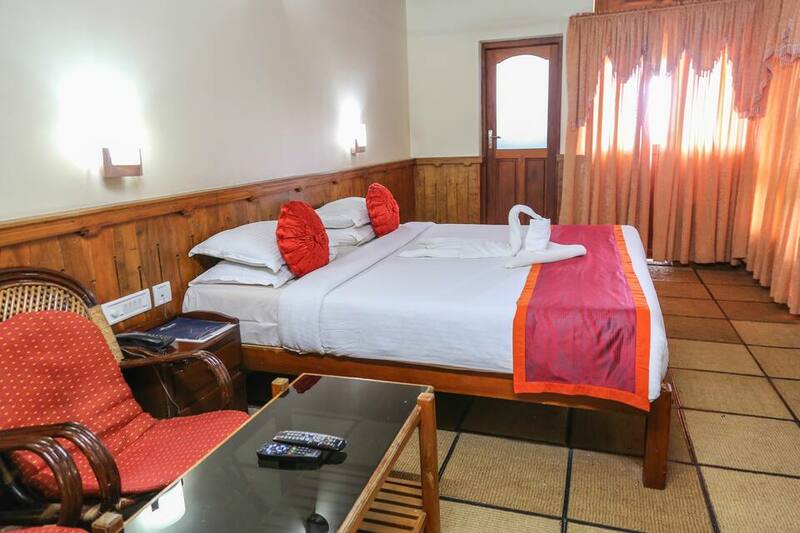 Other amenities include TV, minibar, tea/coffee arrangements, work desks, wardrobes and 24-hour room service. 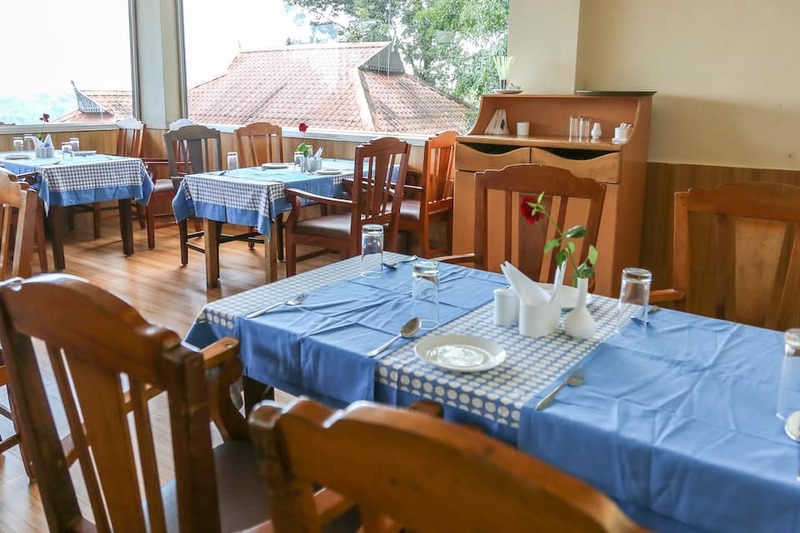 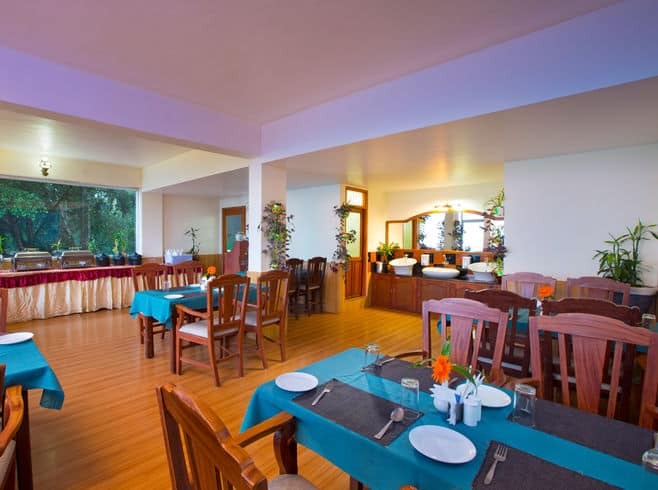 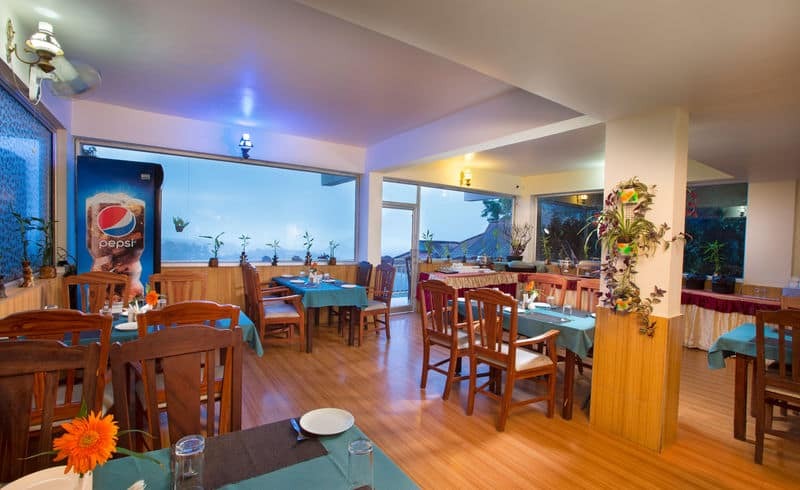 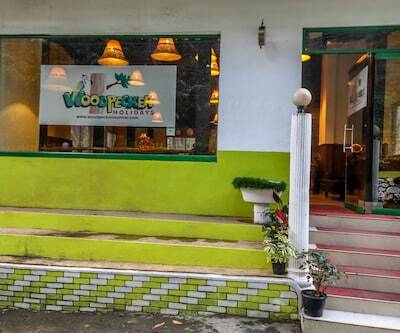 The on-site all-day dining multi-cuisine restaurant serves delectable Continental, International and Indian cuisines along with traditional Kerala cuisine. 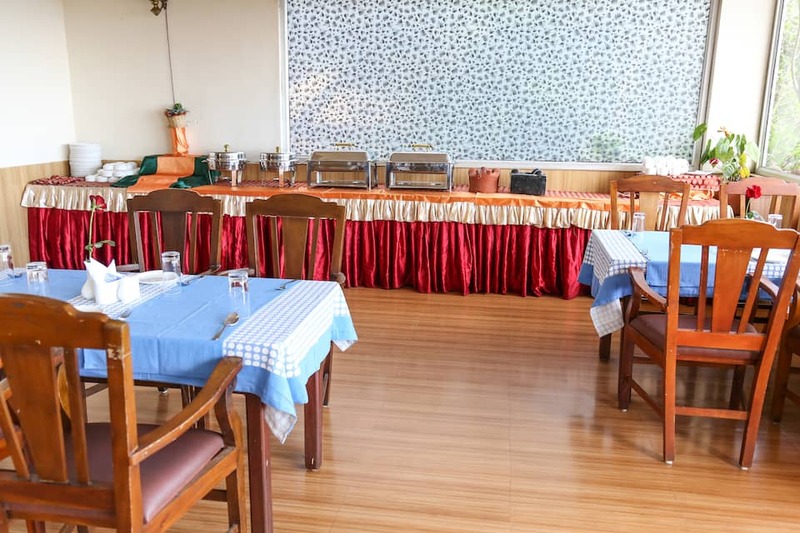 Guests can get a range of beverages accompanied with light snacks and refreshments. 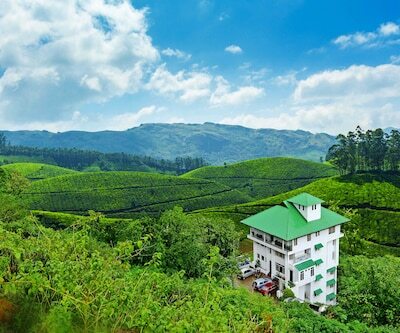 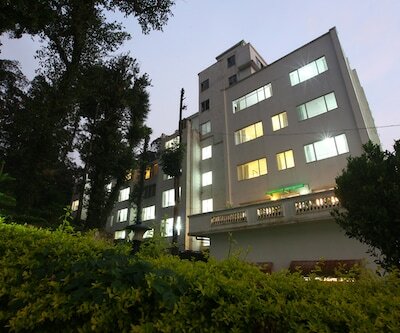 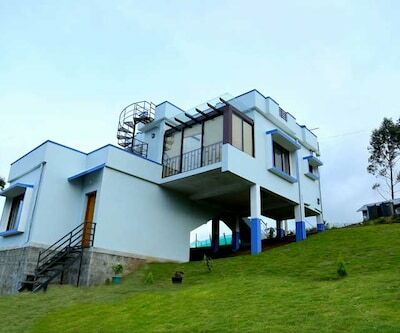 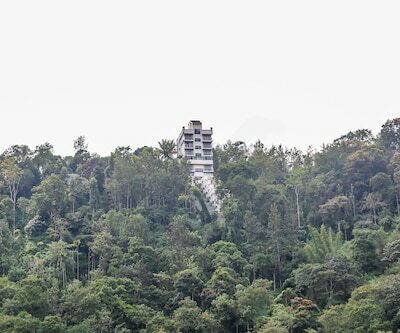 Popular destinations nearby include Pallivasal Tea Factory (5 km), Munnar Tea Museum (13 km), Mattupetty Dam (21 km), Anamudi Peak (22 km), Eravikulam National Park (22 km) and Lakkam Waterfalls (36 km). 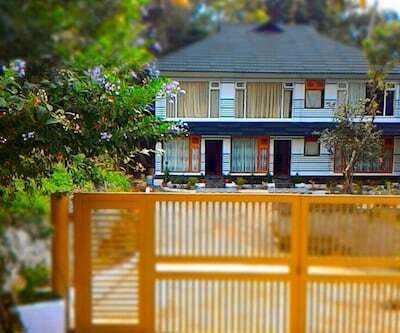 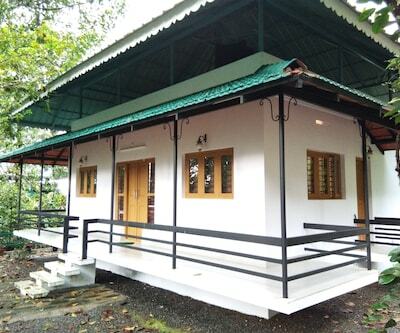 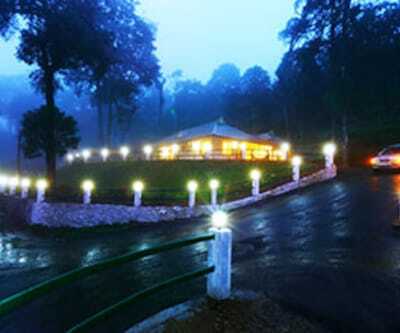 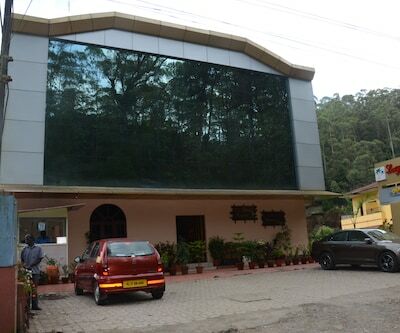 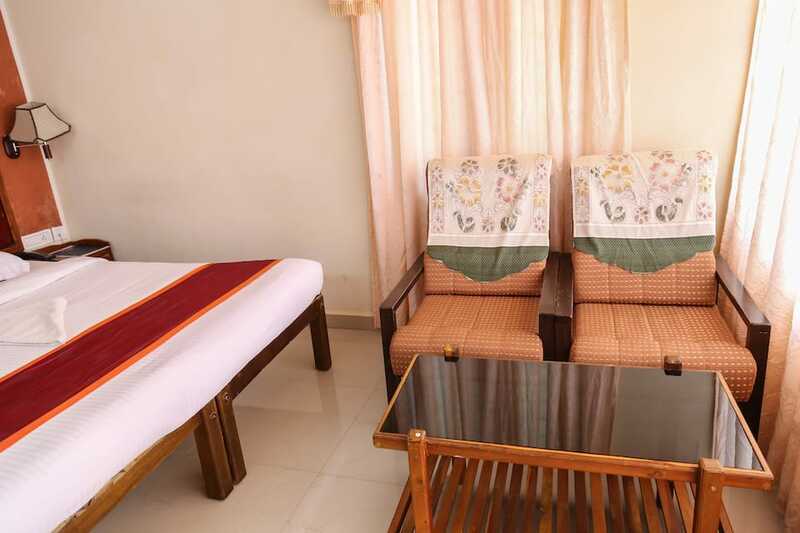 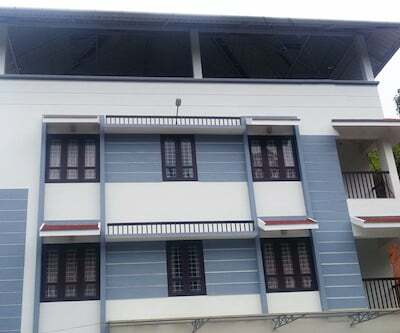 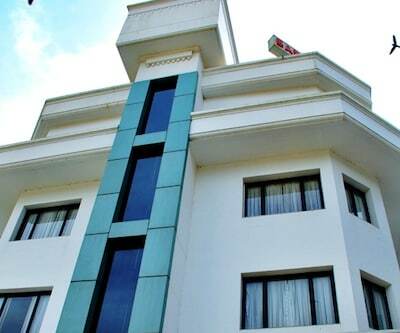 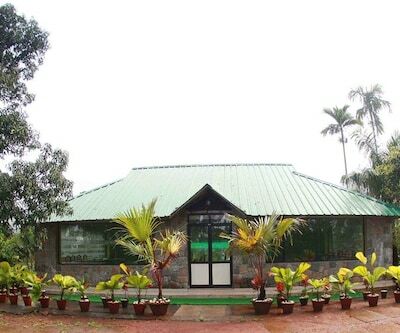 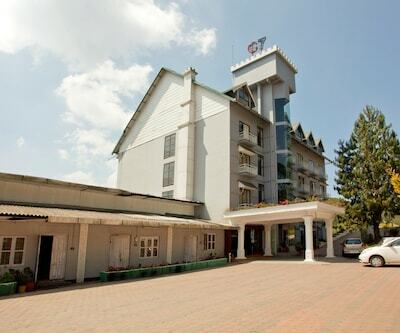 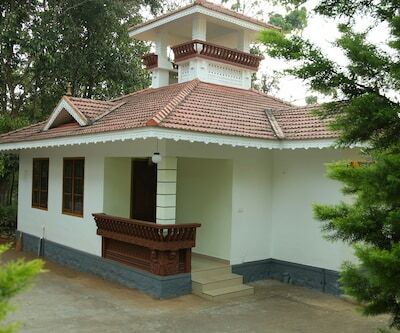 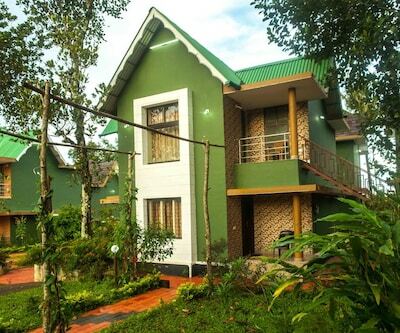 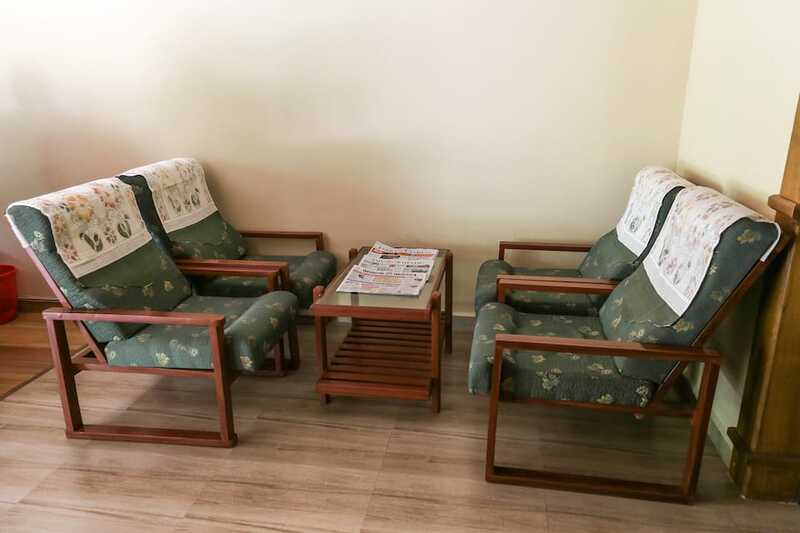 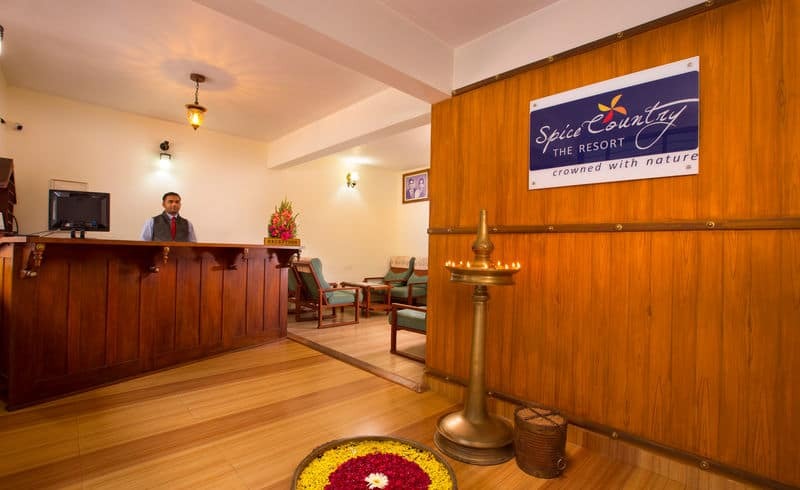 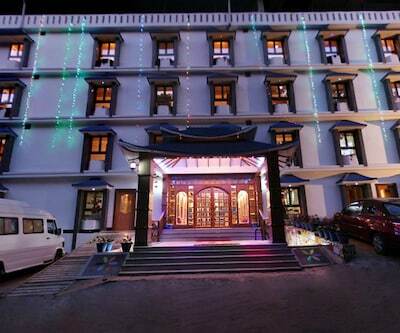 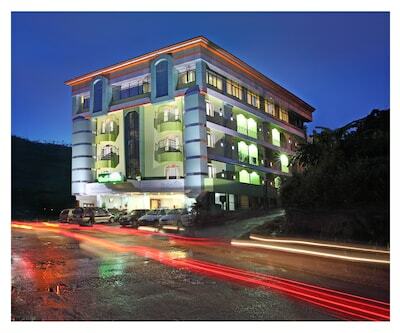 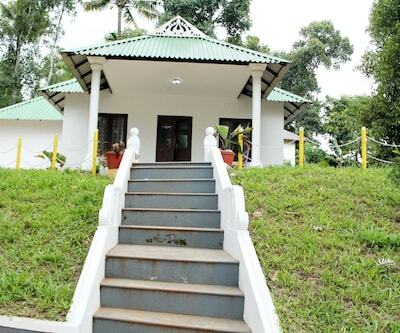 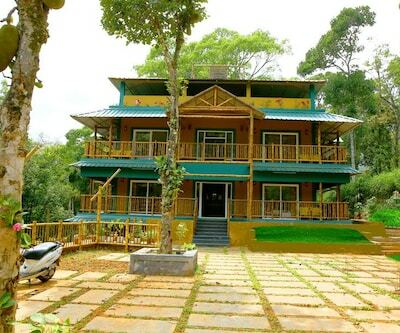 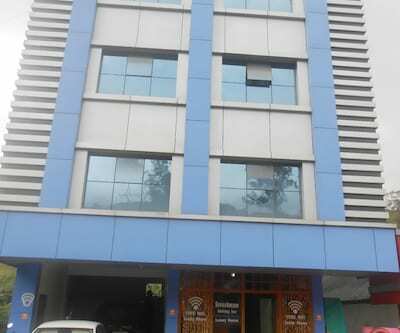 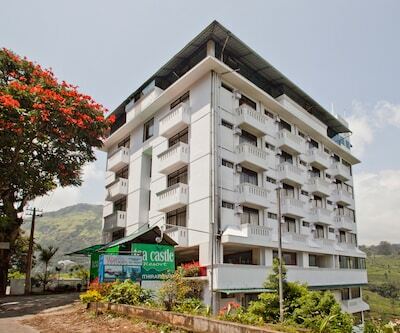 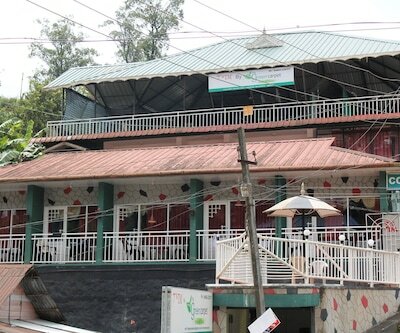 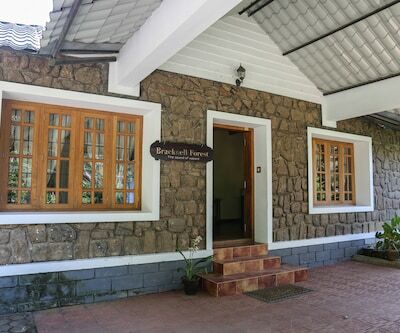 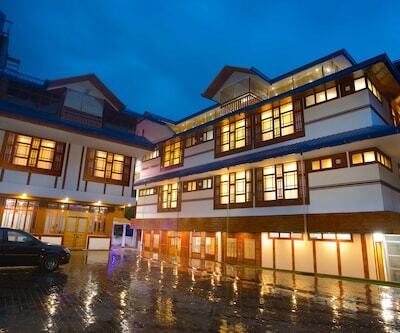 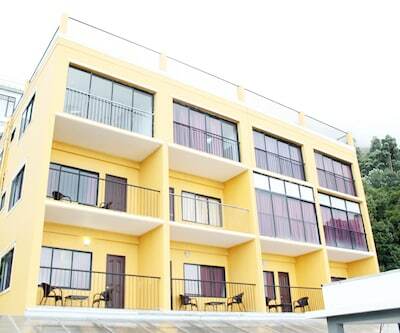 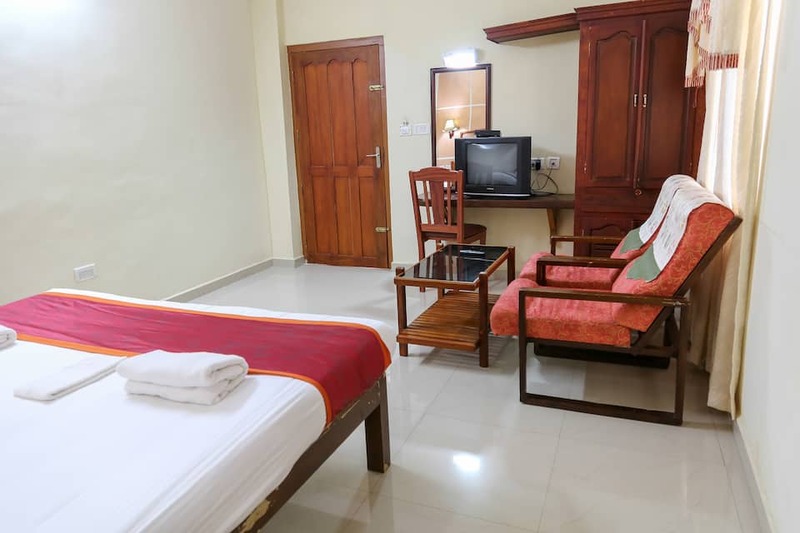 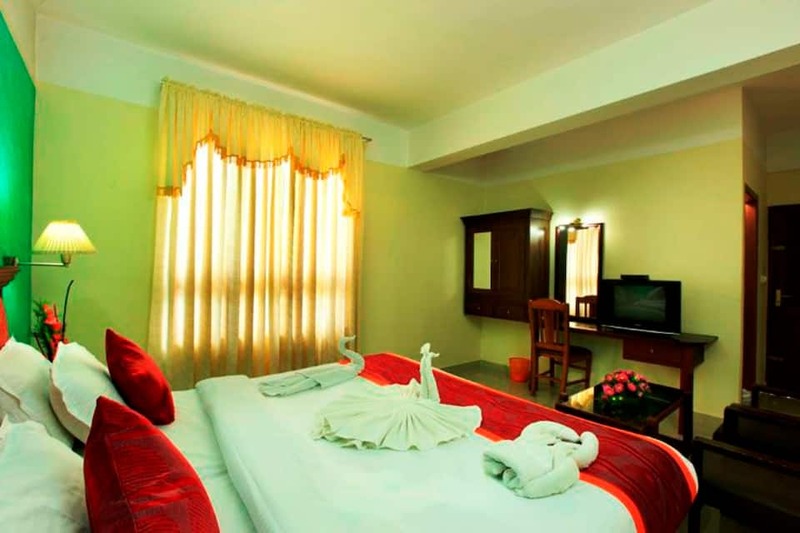 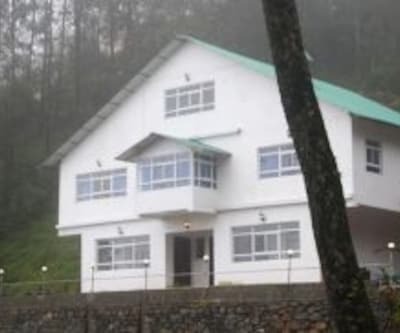 Munnar Bus Stand is 10 km and Cochin International Airport is 96 km from Spice Country Resorts. 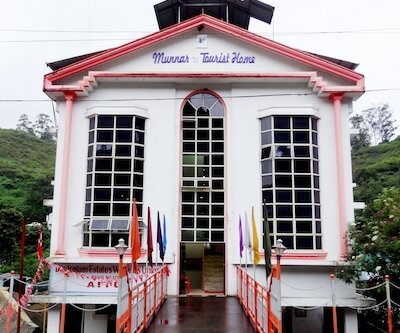 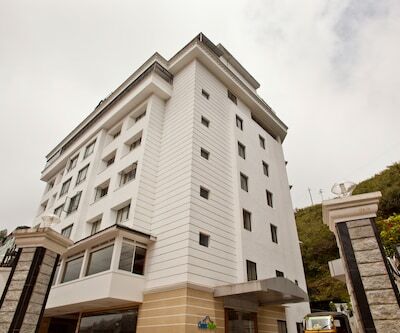 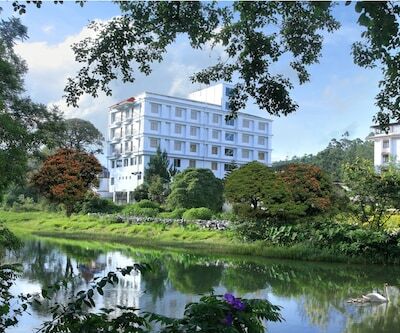 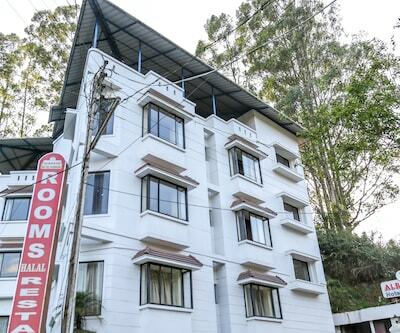 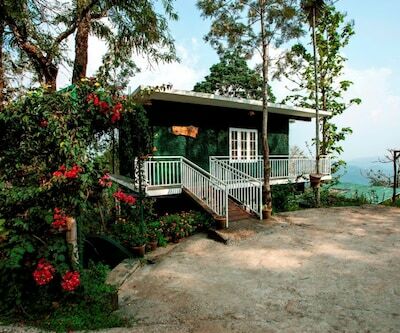 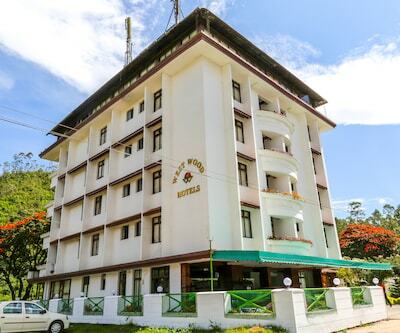 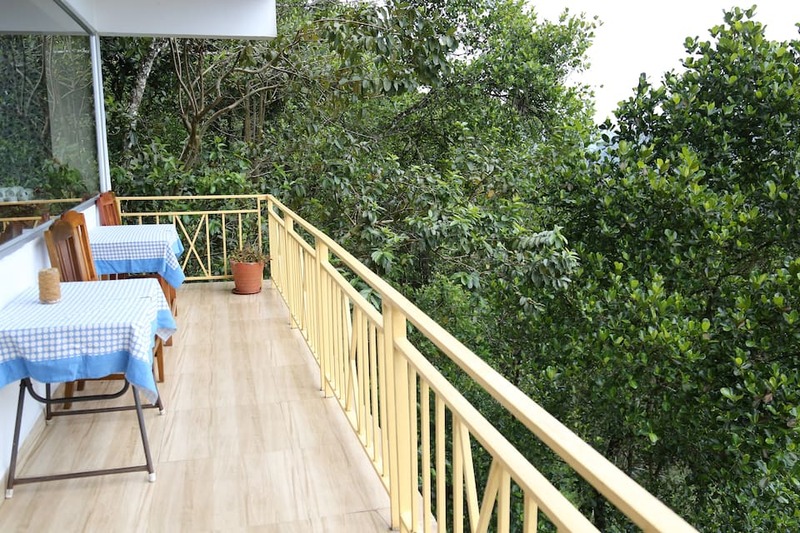 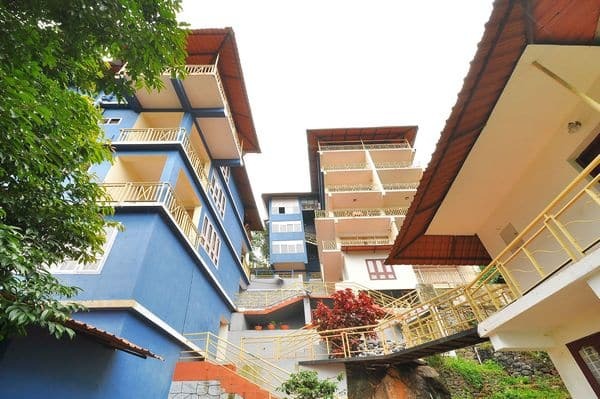 Munnar, the nearest town is 11 km from Spice Country Resorts. 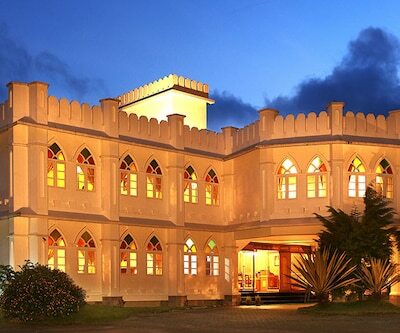 Book now and enjoy the warm hospitality of Spice Country Resorts!